platelet cytokines, growth factors and chemokines. Tropocells® PRP creates a fibrin scaffold with which the growth factors and other bioactive materials interact to stimulate the healing process. 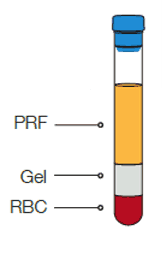 The Tropocells® pure PRF is generated following platelets activation which are trapped in this matrix. 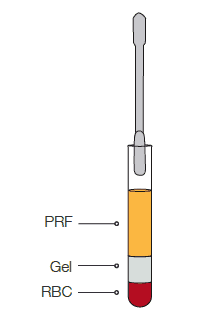 PRF is used to promote wound healing, bone regeneration, graft stabilization, wound sealing and haemostasis. Tropocells® pure PRF advantages over the common PRF methods include, among others, ease of preparation/application, minimal expenses and lack of biochemical modification (no bovine, thrombin or anticoagulant is required). A simple and fast preparation method. 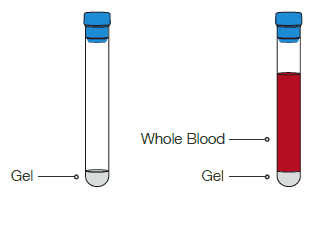 Tropocells® pure PRF is prepared by taking either a 12ml or 23ml blood from the patient, then separating platelets from Red Blood Cells and Granulocytes via centrifugation. The clot that is formed is placed on the surface of a wound or is packed into a cavity or sinus. 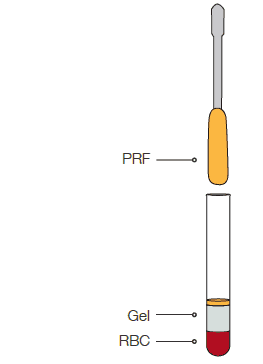 Platelets will be formed in a PRF matrix. As the clot dissolves, growth factors and other bioactive components in this milieu of autologous material are released. 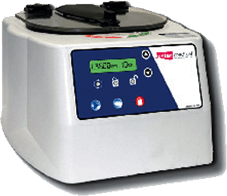 The Tropocells® PRF is generated without the addition of activating substances.